CUMTD #557 at Green Street & Goodwin Avenue in Urbana. Twleve 5308s were purchased from Richmond, VA in 1991. 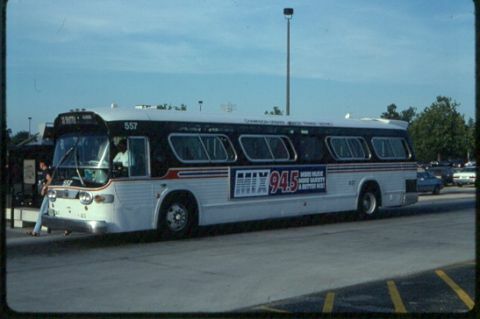 #557 went on to see service in Ames IA from 1997 to 1999. Photograph taken September 7, 1994 by A.J. Reinschmidt.